Mrs. Isidora Milosevic was born on March 6, 1972 in Belgrade, Serbia. She graduated from University of Drama Arts & Art Management also The Philological Faculty Department for Oriental Studies and got master degree in Drama Arts. Since 1995 she has been a student of Master Wang Zeng Xiang , who was eight times Champion of China in Tai Chi Chuan and who later came to Serbia on an invitation of The World Center of Real Aikido of Serbia. She has been learning Yang Stile of Tai Chi Chuan, forms like 10, 24, 42 movements and the Tai Chi Long Sword. She also attended Basic Courses of Wu Shu in her studies with Master Wang Zeng Xiang. In Spain she studied Pushing Hands-Tui Shou, and Chi Gong with Master Patxi Marta Blanco. Since 1998 she has been an Assistant instructor for Master Wang Zeng Xiang for the beginners groups. In the Fourth Annual International Kung Fu and Wu Shu Federation European Championship she won the Bronze Medal in the Tai Chi form competition. In the year 2001 she was teaching and representing Club Aiki in Istanbul- The Oriental Culture Fitness Center and teaching private classes of Tai Chi Chuan in Hotel Ceylan Intercontinental in Istanbul. She has been living in Antalya for period of four years and teaching in Women’s International Club in Antalya, giving seminars in Hotel Falez in Antalya and teaching in Elit Sport Club. She had job offer from Hotel Hillside Su in Antalya to work in their Fitness Center, and finally she established Tai Chi as Branch Sport in Kepez Municipality in Antalya where she has been working as chef coach. In the year 2006 she got invitation from President of European Wu Shu and Kung Fu Federation for a position of Tai Chi Instructor in You Ching Club in Vitoria, Basque Country-Spain and secretary of European Federation as well. She was on that duty for one year when she returned to her country. 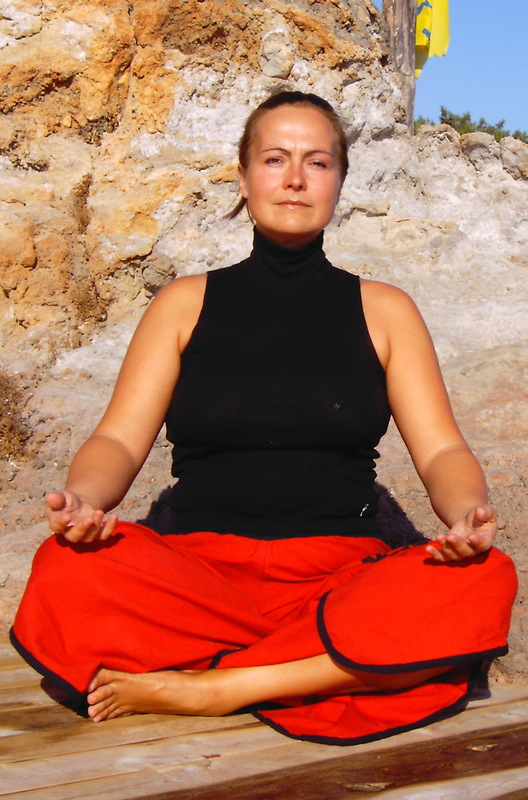 She established Holistic Center – Sphere, in Belgrade- Serbia, where she was chef instructor. In Championship held in Milan, Italy, 2006 she won gold medal in category Tai Chi Masters. During year 2010 she went to Wu Dang mountain-China, to China Wudang Kung Fu Academy of master Chen Shi Xing to learn Wu Style of Tai Chi. She has been working as Tai Chi coach for Telenor Company as well as doing seminars for Holcim Coorporation. She is now the President and Chairperson of the International Martial Arts and International Kung Fu and Wu Shu Federations Branch in Serbia and Turkey and is also International Judge. She has 6th DAN of Kung Fu for Tai Chi. She speaks fluently English, German, Turkish, Serbian and some Spanish and Russian.